Concussion research at the University of Florida got a big boost with generous support from the Robert Yates Charitable Fund, which presented a $100K donation to the UF Trauma, Concussion & Sports Neuromedicine Program. 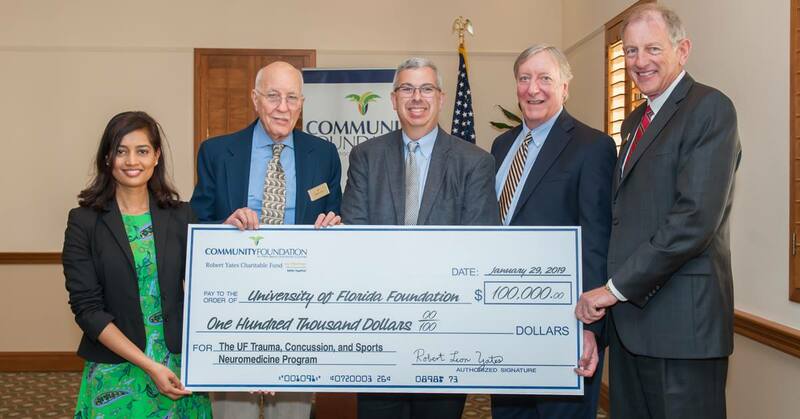 From left: Robert and Ellen Yates Fellow Dr. Shae Datta, Mr. Yates, TRACS director Dr. Michael Jaffee, Dr. Russell Bauer and Bradley Hurlburt, president and CEO of Community Foundation for Palm Beach and Martin Counties. 12 Surgeons Help Me Film 20 Videos at STS!